I've tried dozens of solutions to clean up my inbox, and so far, the Sortd Chrome extension comes closest to helping me use and organise email the way I work. 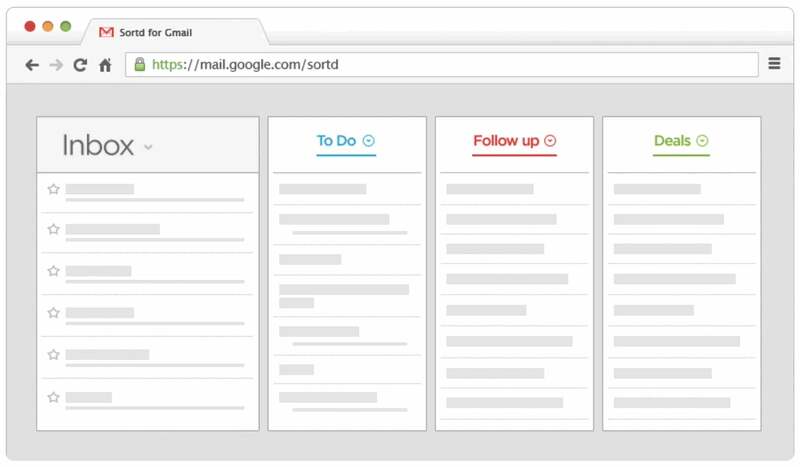 Sortd transforms Gmail into a drag-and-drop workspace with columns of customisable lists. It's like life-organising webapp Trello, but for email. Sortd works for me because it matches how I think and want to access information: Visually, and in lists. Like everyone else, my problem with email is I have too much of it, and I've struggled with getting a handle on which need action, which to keep and which to discard immediately. Sortd has been a great help for two reasons: It has a killer user interface, and it brings useful task management features to Gmail. Instead of labelling or starring emails and then reading them in one long list, Sortd lets you organise your most important emails into a single dashboard. Drag emails into the "To Do" column, for example, or the "Follow Up" column, and you can see at a glance what you're working (or waiting) on. There's a ton of customisation too. You can add additional lists, rename the default ones, change the checkmark icon and drag lists to rearrange them. I have lists for things I have to act on, items I'm waiting for a reply to, emails I need to refer to for my current projects, a maybe/someday list (that I will probably never get to) and a shopping/deals list. Perhaps what I like most about this system is I don't have to bother with labelling individual messages, which can be time-consuming and get out of control. The most important categories are my columns. You're not limited to just using Sortd's view, though. The little button on the right side of the window switches between Sortd and Gmail's regular view. 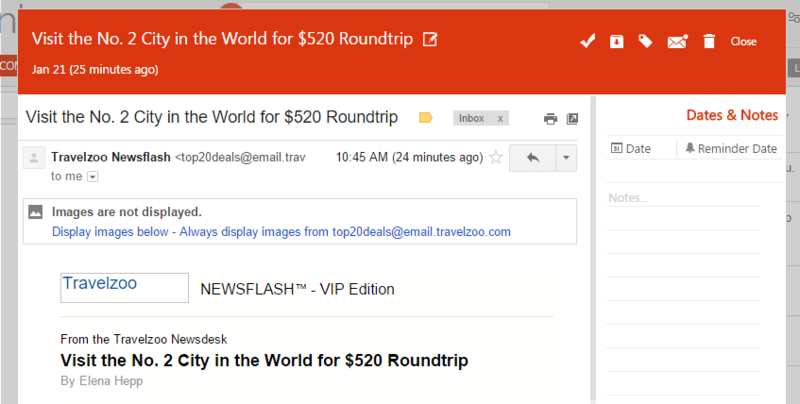 And when switching to Gmail view, you can still access your Sortd columns. That means you have quick access to the emails you've assigned as tasks or saved into another list category while working with Gmail as you normally do. It's the best of both worlds, although I prefer the columns view. Check emails as done: All emails you drag into your columns get a checkmark beside them, so you can quickly mark them complete. They can either stay on your list or you can hide (archive) those completed messages from view. If you want to see all your completed messages/tasks, there's a filter for that too. Change subject lines to actionable task names: When dragging an email into the column, you can either keep the subject line or give it a more actionable name. That means there's no extraneous information calling out to you when you're looking at your emails and you can avoid vague task names that only hinder your productivity. Add reminders and notes: For each email, you can create a reminder and get desktop notifications for when those emails need to be acted on. There's also a notes section to further clarify any email. Add your own tasks: Tasks in Sortd don't have to be solely from your email messages. Click the plus sign at the bottom of a column list and create your own task. Or you can set aside a column just for tasks that aren't email-related (such as a shopping list or ideas for your next project). See emails by reminder dates: The date view rearranges your lists into Today, Tomorrow and Soon categories. Again, you can add tasks unrelated to your emails to these columns. Work with items flexibly: You can drag items up or down in the lists to reprioritize them, highlight messages with different colours, and also group messages together into one task. It's pretty much all the features you'd want in a task manager, combined with your inbox. Sortd is still in invite-only beta (but we've got invites below! ), so it's not perfect. There are still things the team is working on and ironing out. All in all, Sortd has been a great match for how I like to work — visually . I know some people love using labels and stars to organise their messages, and Inbox by Gmail has great task management features, but I like Sortd's clean and uncluttered bird's eye view of emails turned into tasks. The first 20,000 readers to use the link below can try Sortd out for themselves (or you can use the invite code 8J5D3 if you download the extension directly from the Chrome Web Store). Let us know what you think of it.